In an older post (at this link), I have provided the losses during Operation CRUSADER. These are almost certainly ground forces, and in any case, air force losses would not have added significantly to them, in terms of overall volume. One thing I did not consider until now however are the losses of the two large navies supporting the battle, the Regia Marina and the Royal Navy. Reading up on the sinking of Citta di Palermo on 5 Jan 1942, which caused heavy loss of life (921 dead and missing presumed dead), made me think about this aspect however. 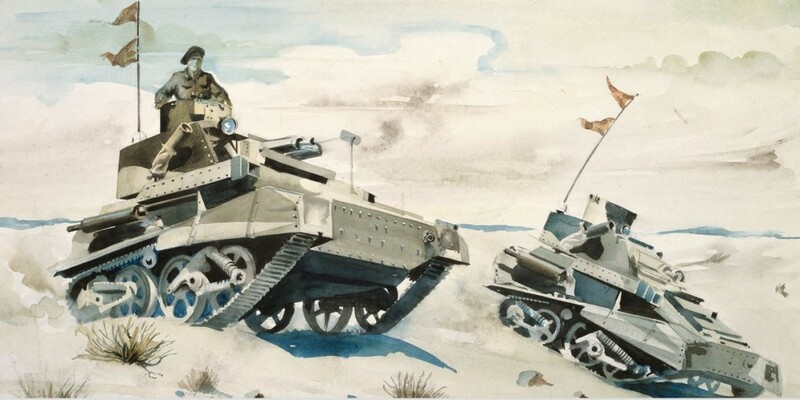 Having had a quick look, it is apparent that the personnel losses on both sides are about equal to the losses suffered at land, further reinforcing the nature of Operation CRUSADER as a campaign fought in three dimensions, and probably at the time, the largest one ever fought in this way. These two older posts provide information on unit losses, both large and small. In the table below I have ignored any losses by merchants, and anything outside the period. I have also not included German submarines. With one exception, losses happening apart from the on the day the unit was lost are not considered. For the Royal Navy, the sources are the HMS Barham Association and HMS Neptune Association websites, and the excellent Naval History Net. On the latter, it appears that in some cases losses for damaged ships (e.g. torpedoing and beaching of HMS Glenroy) are not given. This, and the exclusion of losses on operations (with one exception, a casualty from air attack on HMSAS Sotra on 1 Jan 42) understates the overall losses. For the Italian navy, it is the Italian Wikipedia, which I deem to be reliable in this. Kriegsmarine losses are based on information on Uboat Net. For the Italian side, I have estimated the losses of Citta di Palermo as 350 men. Losses of passengers are excluded. The end result is that the Italian navy lost about 40% more men killed at sea than the army did on land during Operation CRUSADER. For the Commonwealth, losses at sea reach close to 2,600, while during land operations about 2,900 were killed (plus about 800 who were drowned later as POWs on Sebastiano Venier, Ariosto and Tembien, in December 41 and February 1942). But in direct operations, Royal Navy losses reached over 90% of losses during land operations. German losses were primarily with the six submarines they lost (one had no casualties), and these come to 186 killed. In addition, the Germans lost naval personnel embarked on freighters Maritza and Procida to man AA guns (Marinebordflak), and maybe some smaller numbers on other vessels (e.g. some of the instructors for the sonar on Alvise da Mosto), but I don’t have those numbers. In any case they would be small, so total losses will probably not be more than 250. It is worth noting that while none of the Regia Marina vessels was lost with all hands, both the Royal Navy and the Kriegsmarine suffered such losses. HMS Salvia, HMSAS Sotra, HMS Lady Shirley and HM/Sub Triumph were lost with all hands. So were U557 (rammed in error by Italian Orione) and U577 (sunk by a Swordfish of No. 815 Sqdrn.) HMS Neptune, HM/Sub Perseus, U374, and U451 had only one survivor each. It is further worth noting, as Urs Hessling points out, that HMS Barham and HMS Neptune are amongst the highest personnel losses the Royal Navy suffered in World War II, while the combined loss of Alberico da Barbiano and Alberto da Giussano probably also ranks amongst the highest losses of the Regia Marina in a single action, and these do of course affect the picture. Note 1: Both HMS Lady Shirley and HMS Rosabelle were sunk by U-374 when it entered the Mediterranean. This is another of the official books published by the Ministry of Information, this time in 1944. The same caveats apply as in “The Tiger Kills”, but so do the same reasons for recommending it. There are very good accounts of naval operations off Crete during the evacuation, of the Tobruk Run, the effort to keep the garrison of besieged Tobruk supplied in 1941, and of the Malta convoys.